Tel Aviv resident Olsvangèr aka Eyal Ben Shimon is welcomed into the expanding Sulk Magic family, offering an introductory gift in the form of 'The New Pollution'. 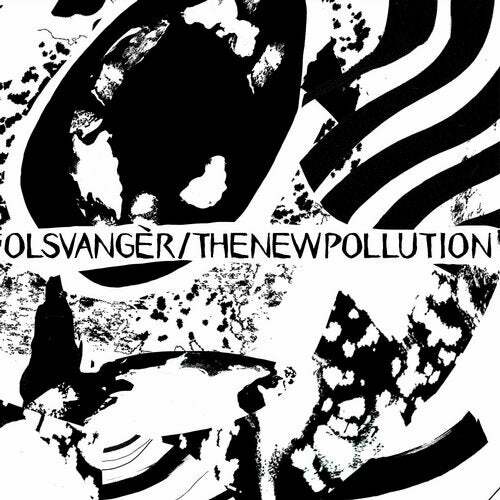 Olsvangèr hypnotises with his cabalistic approach to a drugged up groove, laden with mirrored drums and pitched down vocals. The New York native Curses applies his New Wave trademark to the original adopting growling post-punk guitar lines over uncompromising, chugging electronics. Sulk Magic staple Obb Globelyn applies the Midas touch next, helplessly gazing into machine controlled dystopia with a hellishly industrious drum workout before KGBK's subtle yet hustling drums serve as a carrier for stirring bells and malevolent electronics: an idiosyncratic remix to close a characteristically esoteric e.p.